When the website and blog, One Peter Five, published a priest named Fr Dollinger's claim that Cardinal Ratzinger told him that there was more to the third secret of Fatima than which was revealed the Vatican immediately responded with a press office denial, paraphrasing the Pope Emeritus's rejection of the claims as 'pure invention'. 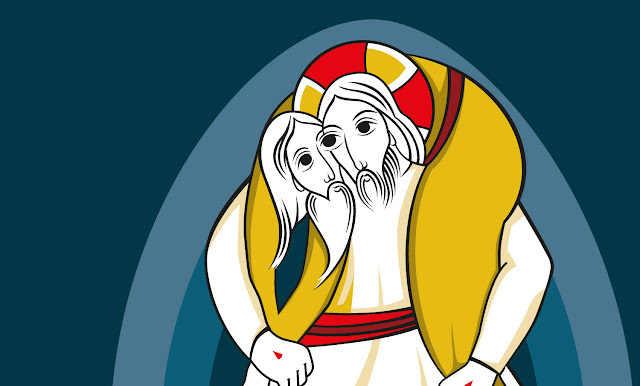 Make of that what you will, but I can't help thinking the Year of Mercy logo has been given a whole new meaning by the hydra-headed papacy debate. Which Pope is carrying whom? We see today a great deal of evidence for the diabolical disorientation of mankind and we should ask what this 'diabolical disorientation' really means. Does it just mean confusion over moral issues or more? We see it in as much as we see that just as Satan, who in all his narcissistic malice, tempted Christ to the point of seeking His worship and adoration, operates this same ancient, malicious strategy in the World and so too, in the Church. Satan is orientating man to himself, away from God. 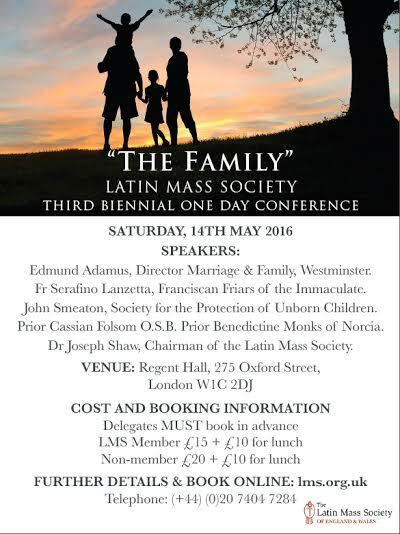 What Will Replace Tradition in the Catholic Church? Rorate Caeli today documents an important trend in the Church on their blog - the sad sight of young 'Benedict XVI era' habit-wearing nuns 'liturgically' dancing at a Mass in a Brazillian parish. Did they miss the Benedictine memo? Why should this kind of distraction from the organic beauty of the Mass happen? 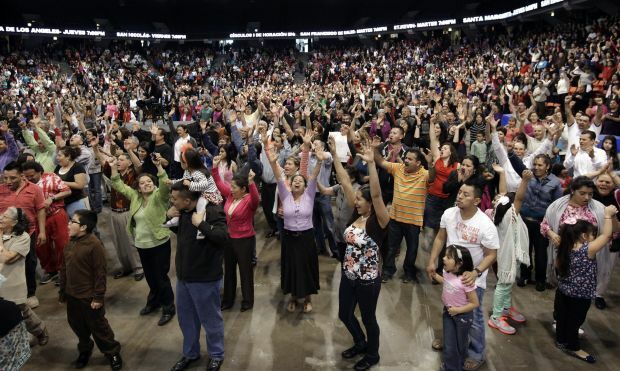 As we approach the great Feast of Pentecost in which the Church makes the great Novena to the Holy Spirit, it is worth spending a little time examining the phenomenom of what has become known as the Catholic Charismatic Renewal otherwise known as the hybrid movement of 'Catholic Pentecostalism'. We should do this because the Novus Ordo clearly lends itself to abuses that are closed 'doors' within the Sacred Liturgy presented to the Faithful by the Extraordinary Form. Stood there two men! Stood there two men! Dressed in white garments! Spreading their gaze over The Catholic Church! Greetings readers and welcome a slightly new look blog. Indeed, welcome back to the 'twilight zone' that was well and truly entered by the Catholic Church on 13/3/13. 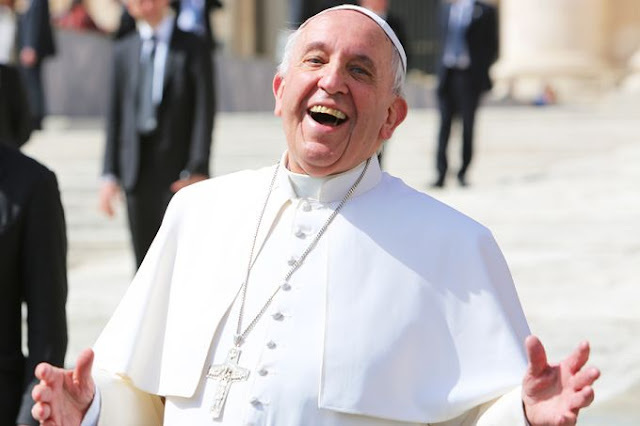 In the vortex of diabolical mayhem known simply as the 'post-Benedict XVI era', Catholic bloggers are tasked with the mission of encouraging Catholics to stay faithful to the Faith passed down to us while it is further polluted, corrupted and overthrown centrally by men who have overseen its decline locally for the past 30-40 years, while lauding the wisdom of the 'new direction'. Yes, vocations can plummet, Churches can empty and close and the souls of millions can - through deliberate, wilful ambiguity on the part of prelates - be placed in graver jeopardy that ever before, but the esotericist can still claim the 'new direction' to be a success even when objective statistics suggest anything but success. I guess that's just part of what makes the new Catholic gnosticism so much fun.